It's that time of the year when we all are faced with the chore of clearing our driveways and sidewalks from snow and ice. We would like to provide a couple of helpful tips to keep your back from unnecessary injury. Cold winter temperatures and wind chills combine to make the trip outside very uncomfortable. You must remember to take precautions to protect yourself from frostbite by dressing appropriately. The extreme cold can also contribute to extra work for our heart, it has to pump more blood to keep us warm. It is strongly recommended to take a little extra time to warm your muscles and joints up by stretching before going outside. Shoveling is a strenuous physical activity and should be treated as if you were going to the gym for a workout. When pushing and shoveling snow, always make sure to have good footwear to prevent slips and falls. Shovels come in many different sizes and have multiple angles in the handles. Try to get a shovel that has a handle length that fits your height to avoid having to bend over to reach the concrete. When removing snow, try to push the snow instead of lifting. Pushing snow is always preferable to lifting to help prevent back injury. Move the snow in small amounts rather than trying to move a large amount of snow, especially if it is heavy and wet. 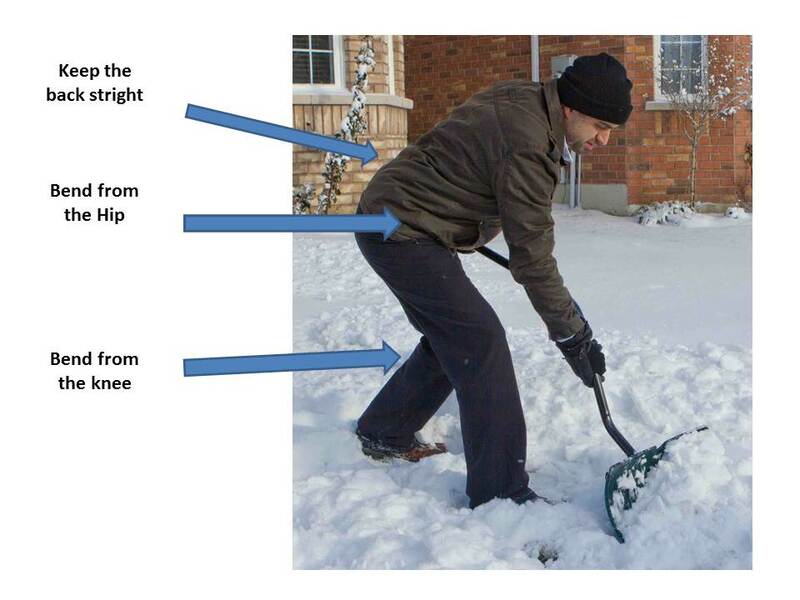 If you must lift the snow, be sure to lift the shovel with strong leg muscles and tighten your abdominals to keep your back as straight as possible. Avoid twisting to throw the snow. Bend your knees, not your back. 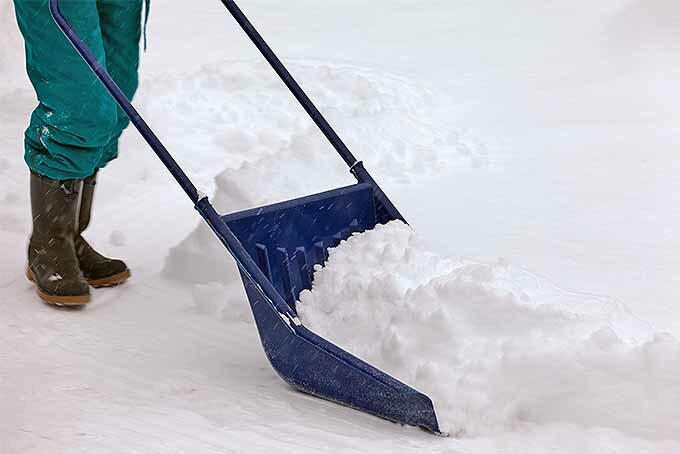 The best shovel currently on the market is called the “SnoWonder” Snow Scoop. This large shovel requires absolutely no lifting and uses mechanical leverage to load and unload the snow. It has “runners” like a sled on the bottom so you can easily slide the loaded snow shovel up onto the snow in your yard. You can then back up and the snow slides off the platform. Please check out the link for more information on this “SnoWonder” snow scoop. Enjoy the beautiful winter months free from back injury. Be smart about temperature, use your legs not your back, push, don’t lift snow and check out www.snowscoop.com.